Russia has been stockpiling the nerve agent used in the attack on an ex-spy and his daughter over the last decade, Foreign Secretary Boris Johnson says. He also dismissed a suggestion by Russia's EU ambassador that the agent might have come from a UK laboratory. Vladimir Chizhov had said the Porton Down lab in Wiltshire may have been the source of the substance. Sergei and Yulia Skripal remain critically ill in hospital after being exposed to the substance in Salisbury. They were found slumped on a bench in the Wiltshire city on 4 March. Prime Minister Theresa May has said Russia is "culpable" for the attack. On Sunday, newly elected President Vladimir Putin denied Russia was behind the incident but added that he was "ready for co-operation" with the UK. He told reporters: "Any reasonable person understands that it would be total rubbish, ravings and nonsense for anyone in Russia to allow themselves such antics ahead of the election and the World Cup." Experts from the Organisation for the Prohibition of Chemical Weapons (OPCW) will arrive in the UK on Monday to test samples of the chemical. The results are expected to take a "minimum of two weeks", the Foreign Office said. UK Prime Minister Theresa May told MPs that Porton Down - Britain's military research base - identified the substance used as being part of a group of military-grade nerve agents known as Novichok developed by the Soviet Union. 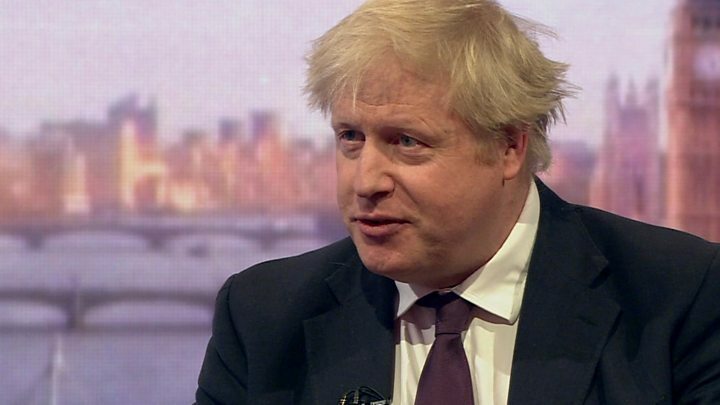 Mr Johnson told the BBC's Andrew Marr Show: "We actually have evidence within the last 10 years that Russia has not only been investigating the delivery of nerve agents for the purposes of assassination, but has also been creating and stockpiling Novichok." He said Russia's reaction to the incident "was not the response of a country that really believes itself to be innocent". Mr Chizhov, also speaking to the Marr Show, said Russia had "nothing to do" with the poisoning of Mr Skripal and his daughter Yulia. When asked how the nerve agent came to be used in Salisbury, he said: "When you have a nerve agent or whatever, you check it against certain samples that you retain in your laboratories. But pressed on whether he was suggesting Porton Down was "responsible" for the nerve agent in the attack, Mr Chizhov said: "I don't know. I don't have any evidence of anything having been used." He said a number of scientists who claim to be responsible for creating some nerve agents "have been whisked out of Russia and are currently residing in the United Kingdom" but no stockpiles of chemical weapons had left the country after the collapse of the Soviet Union. He added that there were "no stockpiles whatsoever" of nerve agents left in Russia. 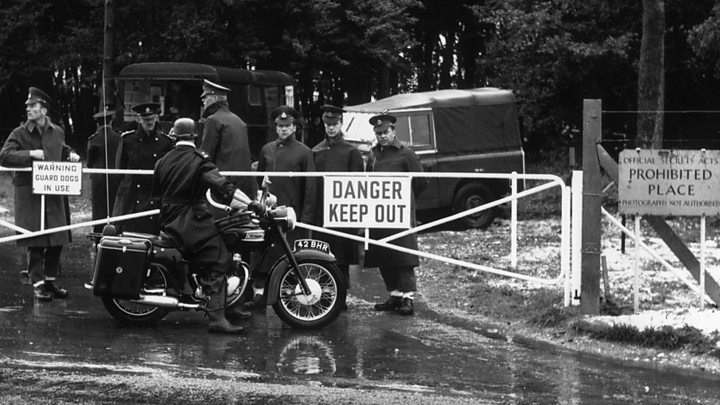 Salisbury MP John Glen tweeted that suggestions Porton Down was the source of the nerve agent were "outrageous". Russia’s EU Ambassador’s outrageous attempt to smear Porton Down scientists - many of whom are Salisbury residents - is so ludicrous it would be laughable if it wasn’t for the dire consequences of his regime’s nerve agents. 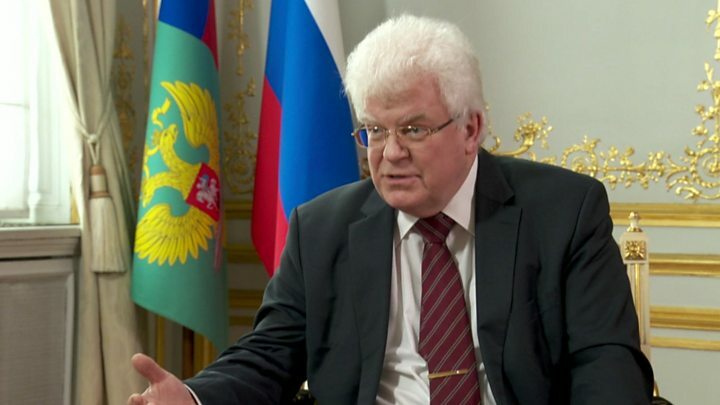 Mr Chizhov's comments come after a Russian foreign ministry spokeswoman said the UK was one of the most likely sources of the nerve agent, along with the Czech Republic, Slovakia, Sweden or possibly the United States. Maria Zakharova said a large number of ex-Soviet scientists had gone to live in the West, "taking with them the technologies that they were working on". Chemist Vil Mirzayanov, who revealed the existence of Novichok in the 1990s and later defected to the United States, said he was convinced Russia created the substance used in the attack. He told the BBC: "Russia is the country that invented it, has the experience, turned it into a weapon. This is the country that has fully mastered the cycle." On Saturday, the Russian foreign ministry said UK staff would be expelled from Moscow within a week, in response to Britain's decision to expel 23 Russian diplomats. The UK foreign secretary will meet his EU counterparts and Nato Secretary General Jens Stoltenberg for talks in Brussels on Monday. Mr Stoltenberg said he expected the response to Russia to be reassessed at July's Nato summit, telling German media the Salisbury attack followed a pattern of Russia "becoming more unpredictable and more aggressive". Theresa May said the UK government would consider its next steps "in the coming days, alongside our allies and partners". Labour shadow attorney general Shami Chakrabarti reiterated Labour's position that the incident was either a "loss of control" by the Russian state or a "malevolent directed attack". And John McDonnell, the shadow chancellor, said Labour had given a "constructive critique" in response to the incident which others "had misread". He told ITV's Peston on Sunday: "We support exactly what the prime minister said and we condemn Russia for this, condemn them."